(MoneyWatch) With little fanfare, the Department of Justice on Thursday put people on notice that it may agree to let former Enron CEO Jeffrey Skilling out of prison long before the end of his 26-year sentence for securities fraud, conspiracy and insider trading. The question is why. The DOJ is required to notify victims such as stockholders, ex-employees of the defunct company and others that they have until Februay 17 to object to a deal that would reduce Skilling's sentence. Since his conviction, the 59-year-old former executive has continued to fight his conviction, but federal courts, including the Supreme Court, have upheld it. In 2009, however, a federal appeals court agreed that his sentence was overly severe and ordered that he be resentenced, an order that was delayed as judges heard the other appeals. That prosecutors would be willing to lessen Skilling's sentence is a big deal, for them and the public. The successful case against the former CEO was considered a crown jewel by prosecutors, who had spent considerable money and manpower to get it. A formerly staid pipeline company, Enron had morphed into an inscrutable energy, commodities and services firm based in Houston. Amid evidence that executives lied about the company's finances and manipulated energy markets, Enron's bankruptcy became a symbol of exploitation of shareholders and customers alike during the go-go days of the telecom and dot-com bubbles. The bankruptcy put thousands of people out of work, cost shareholders billions of dollars and wiped out thousands of retirements. "It's just stunning," said Andrew Stoltmann, a lawyer representing 10 former Enron shareholders. 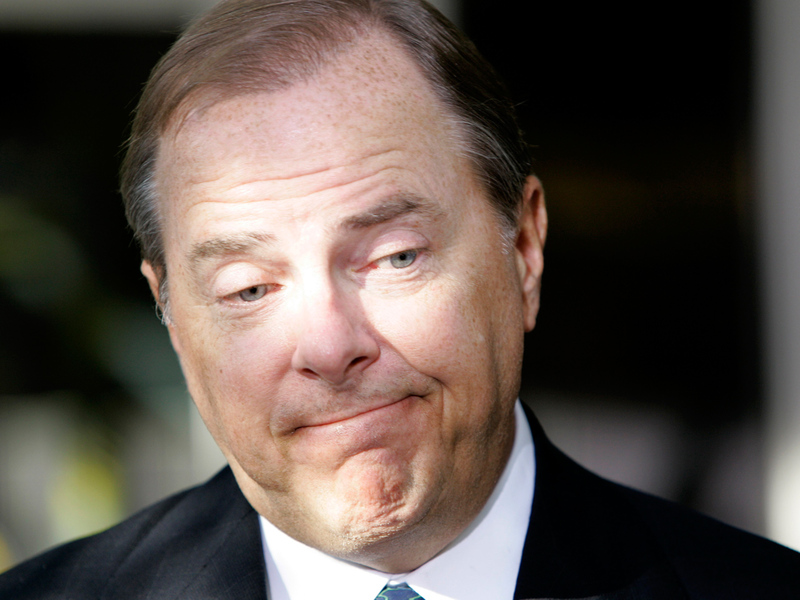 "I think [Skilling is] going to walk soon. They don't contact victims like they have unless it's relatively imminent. Most of us thought that the 20-plus year sentence was appropriate, and it's part of the reason we haven't seen any accounting scandals at Fortune 500 firms since. It's a huge black eye for the government." Stoltmann and others are wondering what has prompted the government to make the move. Trial judge Sim Lake has had many closed door sessions with prosecutors and lawyers representing Skilling, Stoltmann said, with no indications until now where the case was heading. Wes Reber Porter, a former lawyer in the Justice Department's fraud section where he worked on the Enron Task Force in its later stages, theorizes that Skilling's defense attorneys have alleged that there were prosecutorial errors during the discovery process, like not sharing with defense attorneys all they knew. Or, he said, there could be claims that prosecutors pressured witnesses somehow to testify in a particular way. Were such revelations to come out in court, it would be be seen as a humiliation for the government, and perhaps set a chilling precedent for future decisions to prosecute, making a settlement far preferable. Porter cited the case of the late Ted Stevens, the Republican Senator from Alaska, who was convicted of not disclosing that an oil services firm remodeled his house. After a rushed prosecution, the conviction was thrown out when it was revealed that government lawyers had withheld evidence from the defense. Stevens' guilt in the matter was not challenged, and the conduct of the lawyers at fault was later judged to be unintentional. But the damage was done. "If something like that surfaced in the Skilling case, it would be a huge black eye," Porter said. "The government doesn't want or need it. But they really don't need it in Skilling. People would ask, 'After all the resources we put into that, what happened to the whole endeavor?'" Despite Stoltmann's prediction that Skilling will walk soon, it's not clear how much prosecutors will seek to reduce the sentence. And Judge Lake must approve any reduction. Even if Skilling leaves prison early, Porter said that at least from the government's point of view he served a significant sentence that wasn't overturned. Porter, who now heads the litigation program at Golden Gate University in San Francisco, also assumed that Skilling's legal team, led by trial attorney Daniel Petrocelli, probably lobbed a variety of arguments at government lawyers in convincing them to seek a reduced sentence. Those likely included humanitarian concerns, such as the fact that Skilling is nearly 60 years old and that his son and father died while he was incarcerated, among other reasons for leniency. "You'd be selling yourself short as defense counsel if you didn't do that," he said, also noting that such arguments can make their way into the public sphere to help smooth the way for such a settlement. "I think people will feel disturbed if the sentence of Skilling -- the face of the Enron case -- is commuted," Porter said. "Skilling and Enron are still very fresh in people's minds. And I'll also understand the reaction that it wouldn't happen for a dope dealer or common criminal. But a lot of the white collar world isn't deterred by what we do in the judicial sphere."